The history and development of the Liquid Crystal Display (LCD) is rather complex. The story of the LCD had an unusual beginning by an Austrian botanist in the 19th century. Though the LCD made a different and unstable start, its development proceeded from early successes like the pocket calculator to the key milestone of a flat panel television display that can be hung on a wall. The origin and development of the LCD spans the worldâ€™s major industrial centers including the US, Japan and Europe. 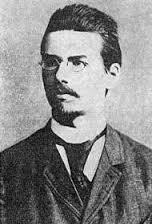 Liquid crystals were first observed by an Austrian botanist, Friedrich Reinitzer, in the year 1888. He discovered a strange material that exhibited a mesophase between the solid state and liquid state. At a temperature of 145 degree Celsius, it melted, probably becoming white and viscous. When he increased the temperature to 179 degree Celsius, it became isotropic and clear. The material discovered by him was cholesteryl benzoate. Regarding this, he wrote a letter to Otto Lehmann, professor of Physics at the Technical University Karlsruhe of Germany on 14th of March, 1889. In the letter, he had written in detail about the two melting points. Lehmann studied the material comprehensively and discovered that the liquid at the mesophase was found to exhibit a double refraction effect, which is a characteristic of a crystal. As the material had the characteristics of both liquid and crystal, Lehmann named it â€œfliessende krystalleâ€ and the English equivalent name â€œliquid crystalâ€ was ultimately born. These liquid crystals were not popular among the scientists and researchers in the early 20th century; in fact, the material remained an element of scientific curiosity for nearly 80 long years. Here, it should be mentioned that E. Merck of Darmstadt, Germany sold liquid crystals as early as 1907 for analytical purposes. Even in the early 1960s, only a few institutions and corporations were involved in research on these liquid crystals. The conditions for designing liquid crystals with particular physical properties hardly existed and naturally, no one was motivated to use these in a commercial product. Eventually, liquid crystals remained unknown to the common man. In the year 1961, George H. Heilmeier was a young talent who had just completed his written and oral examination for the Ph.D. degree at the Princeton University. RCA Laboratories sponsored his studies. In fact, in those days, there was a big demand for young engineers and scientists. RCA Laboratories recruited and encouraged the best talents and financed their graduate education simultaneously enabling them to work part time at their laboratory on sensible research projects. In the first two years, Heilmeier worked in the then emerging field of solid state microwave devices. Nevertheless, being an ambitious and passionate young scientist, he was in a dilemma whether he should stay in the well established solid state microwave field or enter the more interesting and risky field of organic semiconductors. It was around that time that Heilmeier was pulled towards the experiments on the Williams domain. Heilmeier worked sincerely on the Williams domain and after great efforts, he proposed the guest-host mode. The device was drawing a small amount of electric current, less than a microwatt of power per square centimeter and it was capable of switching color with voltages substantially smaller than those of the CRTs, that is, less than 10 V for liquid crystal dye mixture versus more than 1000 V for CRTs!! This was demonstrated in the fall of 1964. Heilmeier predicted that a wall sized flat panel color television was just round the corner. However, it took about a quarter century for his thought to be realized. When Heilmeier showcased this effect within the lab, the people there became really excited. Vladimir Zworkin, the father of television, heard about the experiment and called Heilmeier to his office to know why people in the RCA were so excited. Heilmeier elaborated on how he had â€œstumbledâ€ onto the guest-host color switching effect. Zworkin made a remarkable reply: â€œStumbled perhaps, but to stumble, one must be moving.â€ In 1982, the guest-host mode combined with an AM drive was used in a wristwatch television!! Despite a lot of appreciations, there were several problems with the guest-host effect. The dyes used and their liquid crystal hosts did not remain stable for long periods of time in applied fields; besides, the effect was sensitive to surface orientation effects and needed heating to maintain the host in its nematic phase. Scientists at the RCA tried solving these problems in all ways possible. It was in late 1964 that they observed an interesting effect in several classes of nematic liquid crystals, those with n-type. The materials that gave the best performance were found to be the members of a class of organic compounds called Schiffâ€™s bases. They found the compound anisylidene para-aminophenylacetate (APAPA) to be of specific interest. Its nematic range was from 83 to 100 degree Celsius. In an applied field, these materials seemed to exhibit a remarkable turbulence that they turned milky white from transparent white. Perhaps, the milk white appearance did not require any polarizer to observe; it was merely a light scattering effect. Heilmeier found a very efficient way to control the reflection of light by electronic means. The rise time of 1-5 ms and decay times of less than 30 ms together with DC operating voltages in the 10-100 V range made the new mode quite attractive for applications like alphanumeric indicators. He was able to demonstrate reflective contrast ratios of better than 15 to 1 with efficiencies of 45 % of the standard white. 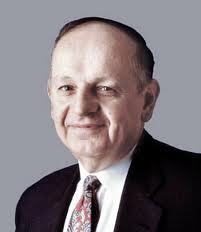 He referred to this phenomenon as DSM; With DSM as the basis, he achieved the first operational liquid crystal display. This was, in fact, the first demonstration to show that the so-called vague materials called liquid crystals could be made into something useful. And, voila! The LCD was born!! 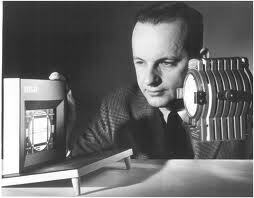 Heilmeier was inducted in the National Inventors Hall of Fame and was credited with the invention of LCD or the Liquid Crystal Display. In May 1968, RCA held a press conference and announced the proud discovery of a completely new type of electronic display which was significantly different from the traditional CRTs. The new display was lightweight, consumed very little electrical power and was slim and sleek. The conference captured the attention of industrial and scientific communities across the globe. This announcement led to the development of digital watches in the US, Japan, and Germany as well as the work on pocket calculators in Japan. At the same point of time, it also led to further research work in Switzerland, the UK and Germany, specifically, for the production of new liquid crystal materials that would be appropriate for use in various display applications. As mentioned earlier, LCD developed by Heilmeier employed what he called DSM wherein an electrical charge is applied that rearranges the molecules resulting in scattering of light. This DSM design performed poorly and seemed to be too power hungry; eventually, this design was replaced by a much improved version invented by James Fergason in the year 1969. James Fergason, an Associate Director at the Kent State Universityâ€™s Liquid Crystal Institute, was creating a liquid-crystal-based breast cancer screening apparatus in the 1960s. It was during this time that he made the discovery that formed the basis of his best invention. As we know, the liquid crystal displays developed in RCA labs applied voltage in dynamic scattering mode; it consumed much power with meager results. In 1969, Fergason utilized his â€œtwisted nematic field effectâ€ discovery of liquid crystals to channel the current through the crystals effectively, ultimately resulting in displays that provided excellent contrast and long life on minimal power. Twisted nematic liquid crystal displays were unquestionably superior to the earlier dynamic scattering displays, and soon became popular. The technology was patented in the United States by Fergason in the year 1971. Fergason formed his own company, ILIXCO or International Liquid Crystal Company, in 1968 to manufacture liquid crystal displays. His first customers were the Bulova Watch Company and Gruen Watch Company which employed the technology to market the first LCD watches that used this technology. By the end of the decade, most of the world’s digital watches employed this kind of LCD display. LCD has seen tremendous development year after year and the annual sales of television with LCD screens are exceeding year after year and with the more and more use of the LCDs, the CRT almost became obsolescent for most purposes. While I am feeling educated on the over-all history of LCDs, some basic technical explanations seem lacking. Heilmeir: After reading paragraph several times, I realized I still don’t know what “guest-host mode” is. Does DSM involve scattering of light from a light behind the LCD (ie, a backlight). Fergason: â€œtwisted nematic field effectâ€. What is this? I am not feeling educated. Twisted Nematic LCD is now passe, and decidedly inferor to todayâ€™s LCD material and structure. The difference in contrast, viewing arc, brightness and sharpness is â€œeasilyâ€ noticeable. I think it was the year 1888, not 1988. In the year 1988, LCDs were readily available on the market. date is wrong at beginning of story. 1988 ? ?